Presented many times in recent years in various stages, prototype flexible displays have finally reached a level of perfection that allows starting mass production. LG’s announcement not long ago opened the way for a new generation of devices whose construction does not have the constraints of a rigid and flat screen surface that can be damaged irreparably in the first fall or blow. 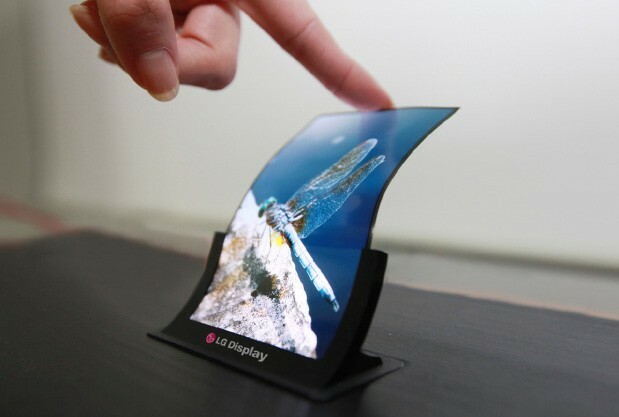 Starting with small steps, LG has confirmed the start of mass production for a 6 inch diagonal screen, described as the first flexible OLED smartphones. The screen made ​​entirely of plastic substrates will equip a smartphone expected to be officially presented next month, but the company promises that it will launch other products with improved performance and diversified design. However, at least in the first phase we can expect newly launched devices to have rigid casing, instead the screen will have a molded shape. According to other sources, next month Samsung will unveil its smartphone with exotic design, meant to highlight the new generation of OLED displays. Unfortunately those who sought a smartphone to flex without breaking in narrow pockets on pants have some time to wait, because technological seems that has not yet reached this level. The next step is the launch of malleable batteries with high flexibility. Called by the manufacturer “cable batteries”, these models will be similar in terms of shape with regular electrical wiring and may be knotted, twisted and bent at will, with the addition of impermeability advantage, enabling power of smart accessories which must be flexible and resistant to environmental variables. In these models, LG did not disclose a release date.